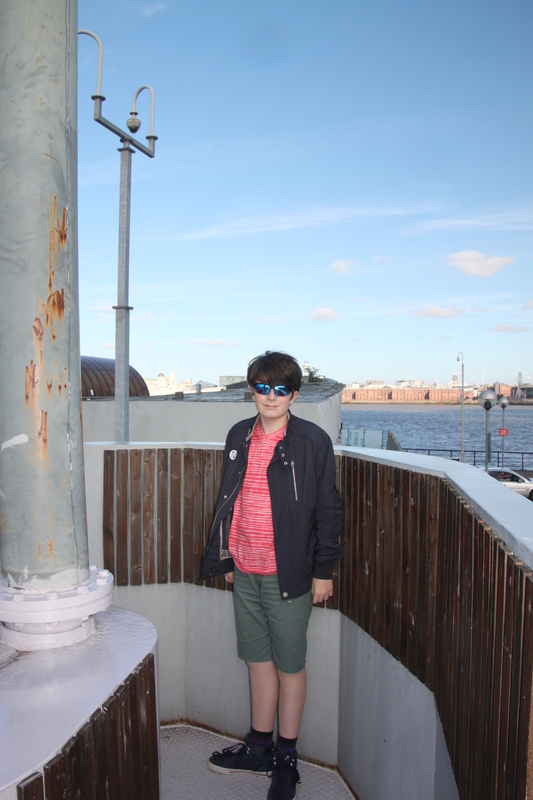 We took a trip to Liverpool on a gloriously mild early autumn day. My dad was visiting so as a treat we decided to take the famous ferry across the Mersey. 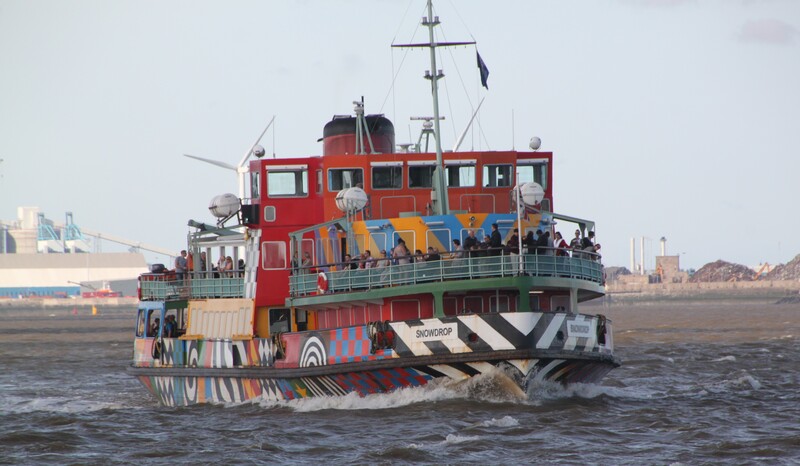 The River Mersey is so iconic, played a huge part in shaping the character and fortunes of this great city and a trip on the ferry is the perfect way to spend a sunny Saturday. We have driven many times underneath the river through the two road tunnels, but this way of crossing is the most famous and the most fun. 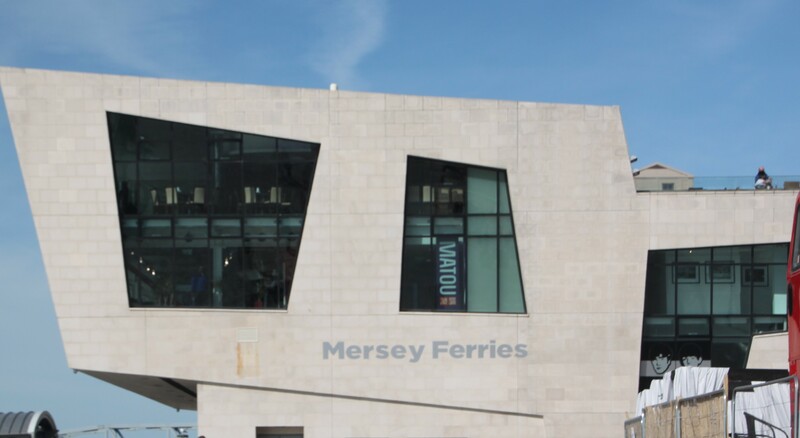 Who wouldn’t want to ride the ferry that inspired that song and enjoy the best view of the Liverpool waterfront? Parking at the Albert Docks meant an interesting and fun stroll along the waterfront to get to the Pier Head and the ferry terminal. 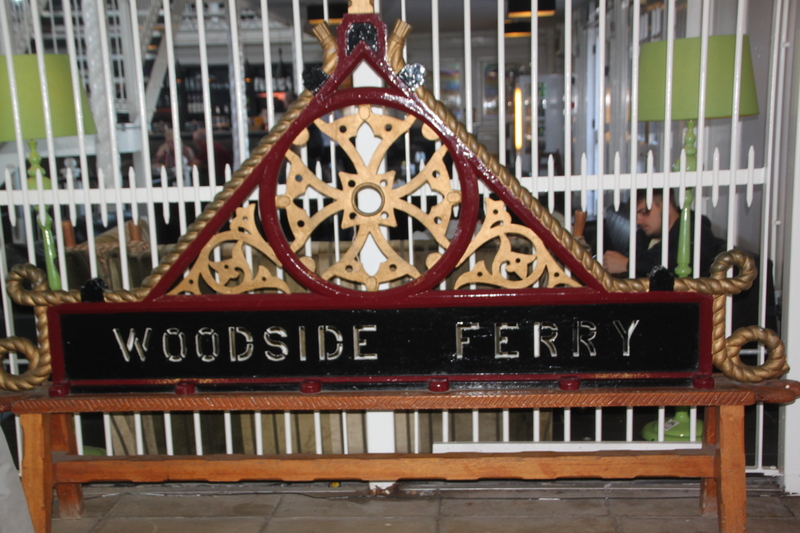 The ferry runs from here to Seacombe in Wallasey and Woodside in Birkenhead. Our ticket allowed us to hop on and off at any of these three stops. 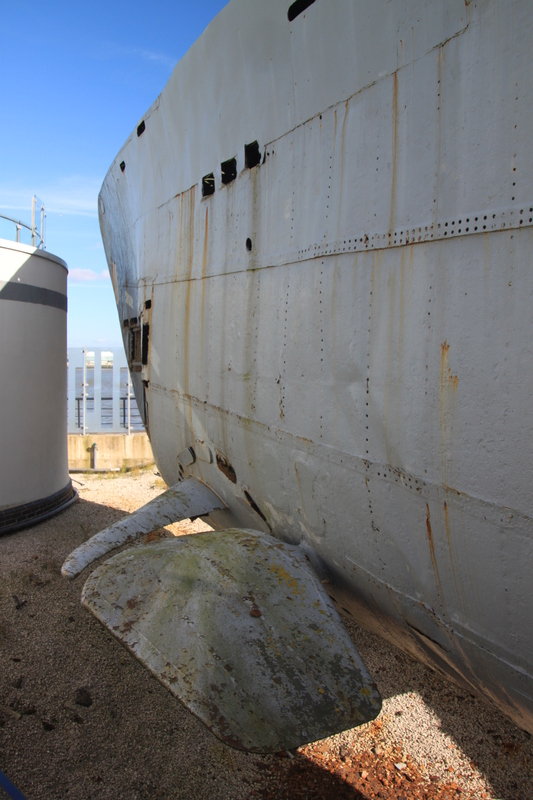 Much excitement when we realised we would be riding the Dazzle boat – part of WWI commemorations and in honour of the patterns used on WWI vessels to baffle the eye and make the ships hard to target by the enemy. 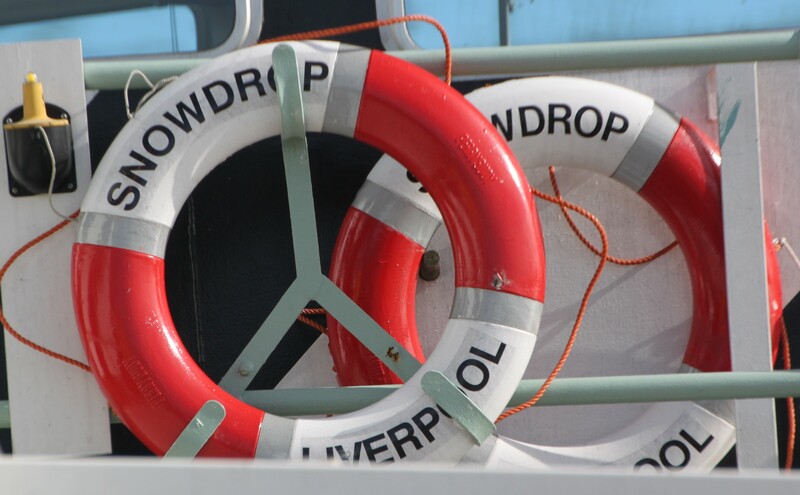 There are a couple of ships – Snowdrop and Royal Iris of the Mersey. Grabbing a seat outside was no problem, we soaked up the sunshine and those panoramic views. 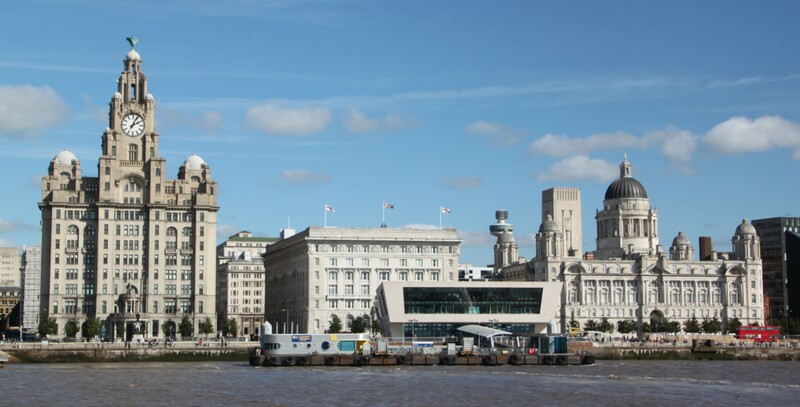 The Liverpool skyline with its Three Graces – The Royal Liver Building with the Liver Birds on top, the Cunard Building and the Port of Liverpool Building are an impressive sight. A commentary played as we sailed, interesting and informative it pointed out various things of interest on both sides of the river. After about fifteen minutes we arrived at Seacombe. We decided to stay on board but did hop off at Woodside, the next stop to check out the U Boat Story. This is fascinating and the chance to see a German U Boat with loads of original film archive and displays is unmissable. 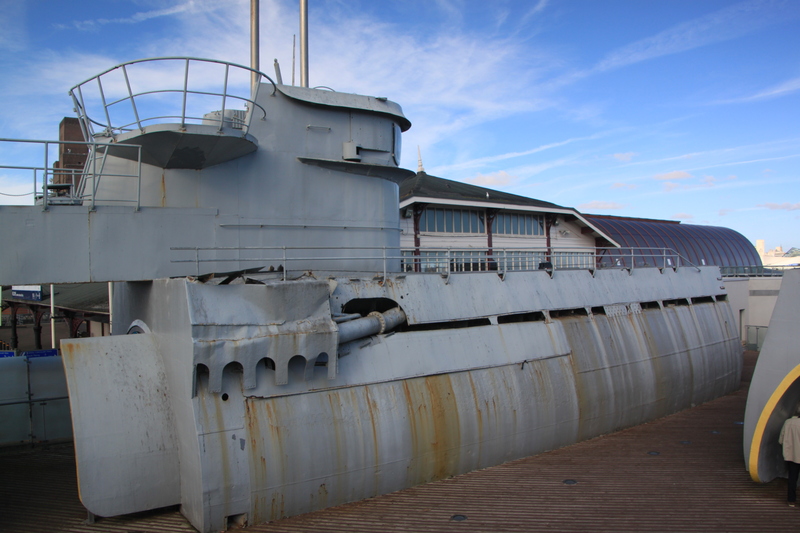 Mystery surrounds this particular vessel, the last U Boat to leave Germany right at the end of the war. Rumours abounded it was carrying gold or high ranking officials. Nothing was found on board but the rumours were never disproved and carry on.. 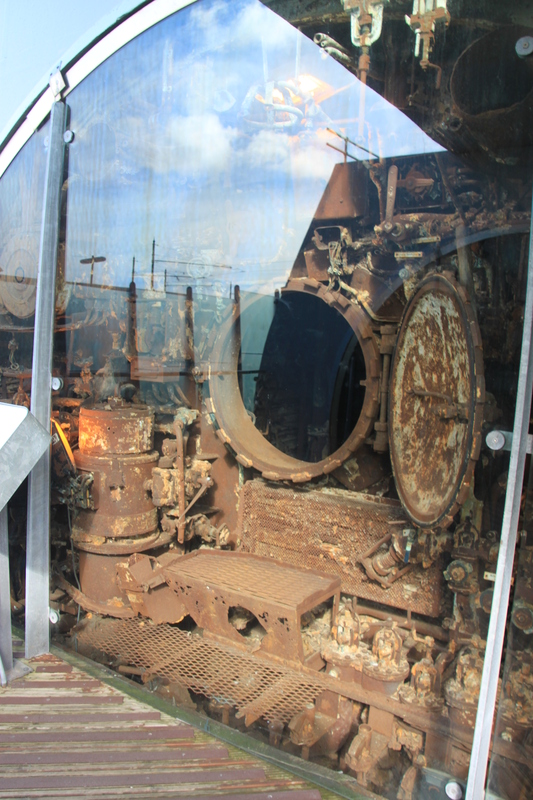 The U Boat is displayed in four sections with glass viewing partitions. You get an amazing glimpse inside the vessel from different angles. The size of each piece is immense, mind blowing how large it would have been when operational. 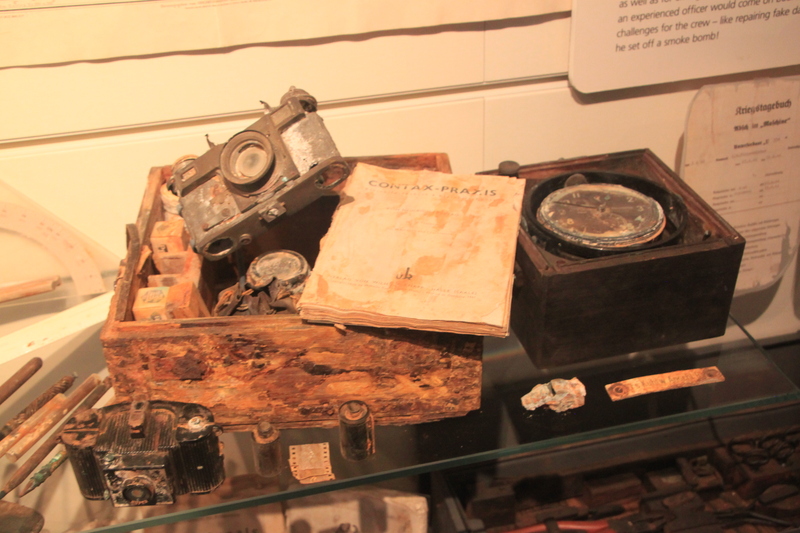 Many of the artefacts they found on board were extremely well preserved and are on display in glass cases – there is even an Enigma machine. 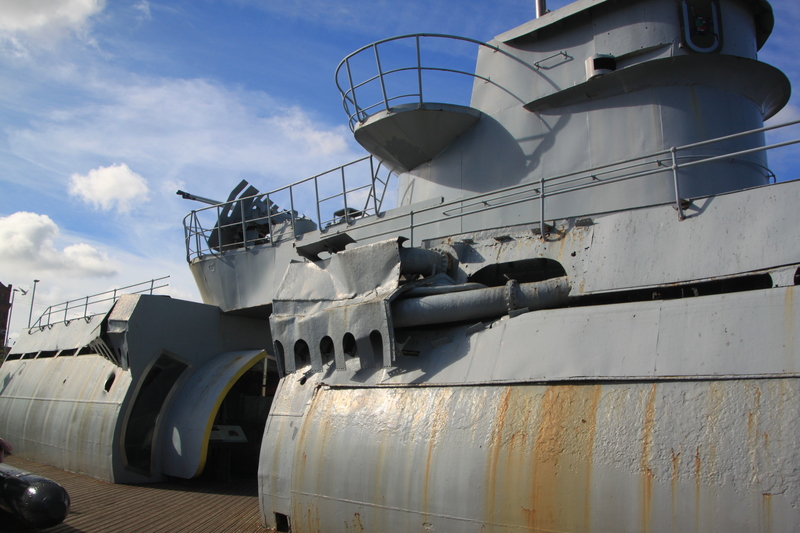 I loved browsing and looking at all these things, it gives an incredible insight into life on board a submarine during WWII. We actually had to tear ourselves away from the exhibition to catch the last ferry back to Liverpool, so engrossed were we. 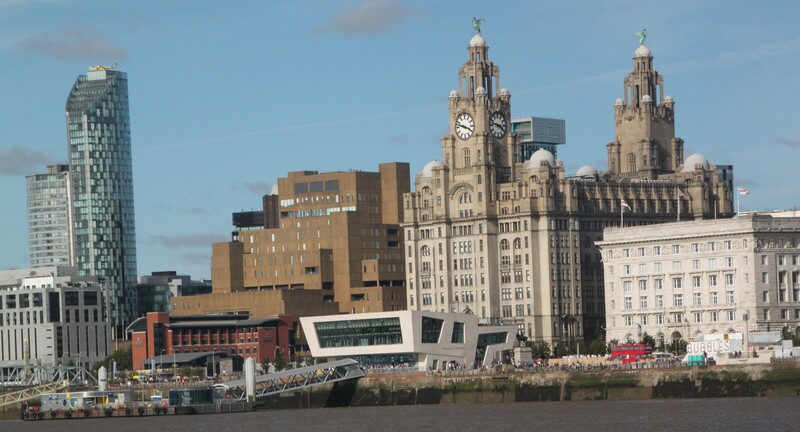 More great views of the Liverpool skyline before we disembarked and our fun ferry ride came to an end. this incredible post and great adventure to share -enjoy your travels!! I love going to Liverpool Marion, it has really changed such a lot in the last few years and the waterfront area now looks great. The ferry was fun and the U Boat exhibition is superb, if you ever do get to spend a weekend in the city I definitely recommend it. Hope your weekend is a good one too. Isn’t it just – eye catching to say the least!! How interesting! I have only been to Liverpool once when the Garden Festival was there in the 1980s. I remember thinking it was quite derelict – the same could be said about many cities around then, Glasgow included. I can’t believe how rough things looked when I see old photos. Anyway, the trouble with reading interesting travel blogs is I keep expanding my list of places to visit / revisit. And getting ear-worms: *channels Gerry and the Pacemakers*. Liverpool has changed such a lot in the years since we first moved to the North West, the waterfront area has been regenerated and now looks stunning. I have the same problem with blogs Anabel, my list is getting out of hand! Don’t even go there with the ear worm…. that song won’t leave my head. That is one hell of a paint job. Did you sing the song and wave a football scarf as you made the crossing? For extra cheese factor the song was playing as the ferry pulled away so you couldn’t get it out of your head even if you tried. Very nice things to do. I would enjoy to see Liverpool from the water. 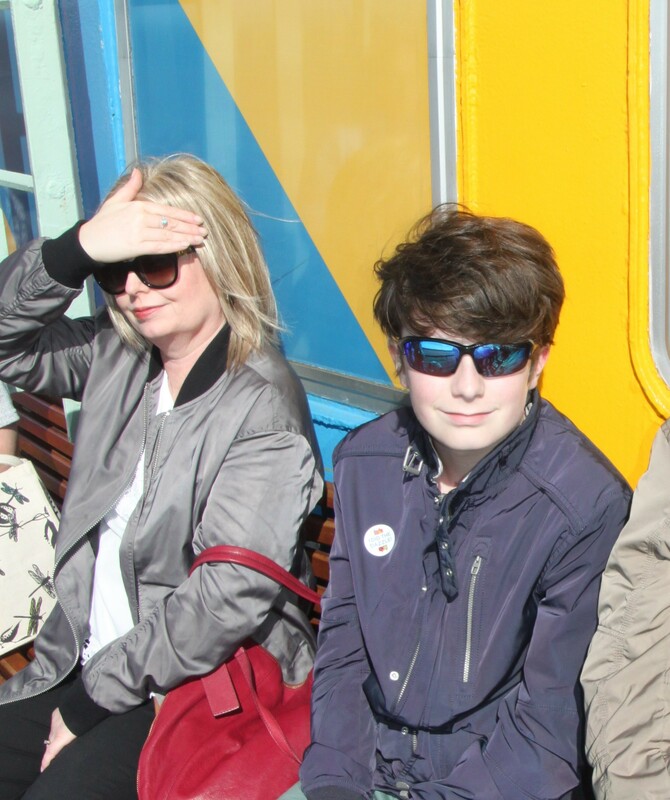 It is a fun thing to do if you ever go to Liverpool – especially on a bright sunny day. Joy, I enjoyed your ferry across the Mersey! We were in Liverpool August 2015! We were surprised at how much we loved the city! I can’t wait to see more of your Liverpool adventures! I remember reading about your trip Pam – I enjoyed reading about it very much. We live not so far from Liverpool so although we don’t go as often as we should, we do still manage several day trips throughout the year – this was a fun one. How cool is that and all the history that goes with it!! Seems like it was also a nice day to do it. 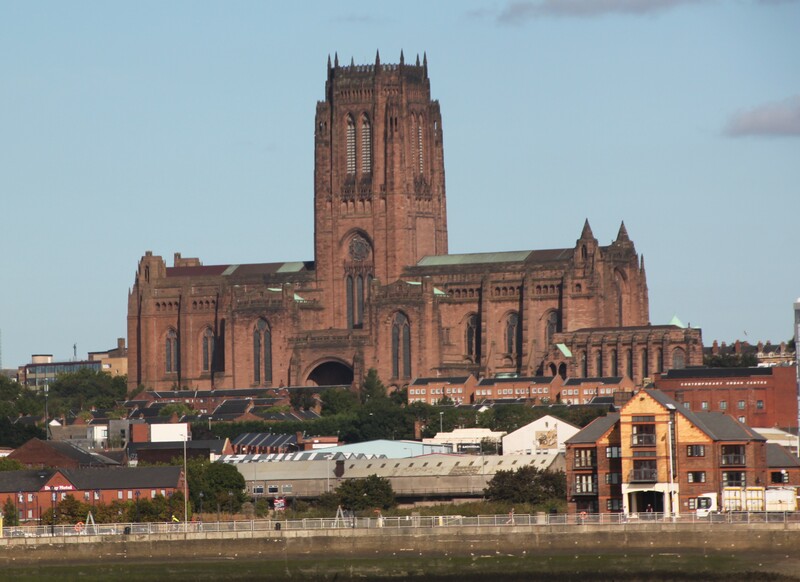 The skyline of Liverpool looks fantastic! 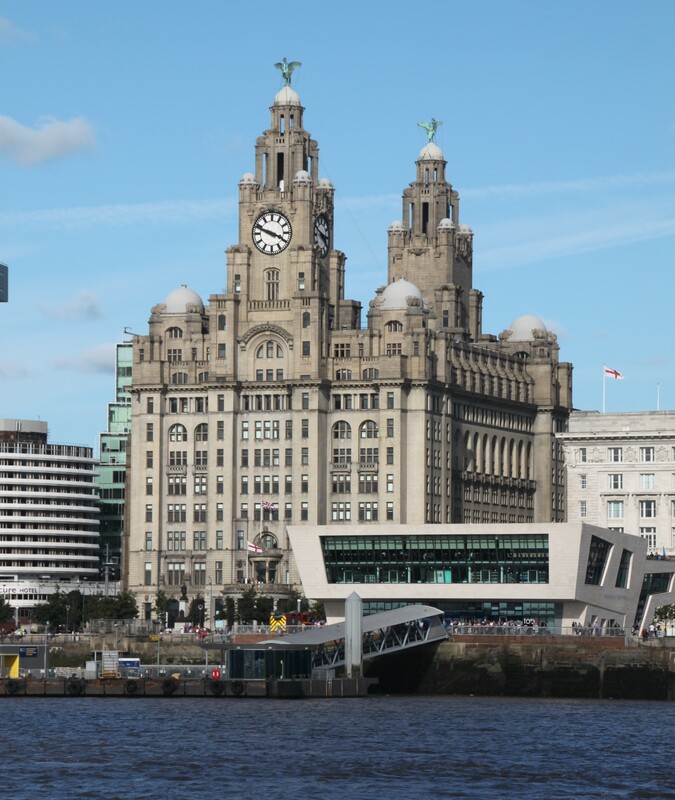 It is the best way to see the Liverpool skyline, we had such a great day and the weather was an added bonus – blue skies and sunshine always make everything better! Ooooh I’ve never been to Liverpool, was planning on going next year because they will have the Terracotta Warriors from China on tour. That U Boat Story has just doubled my excitement! I didn’t know about the Terracotta Warriors so thank you for that – definitely something we would want to go and see!! 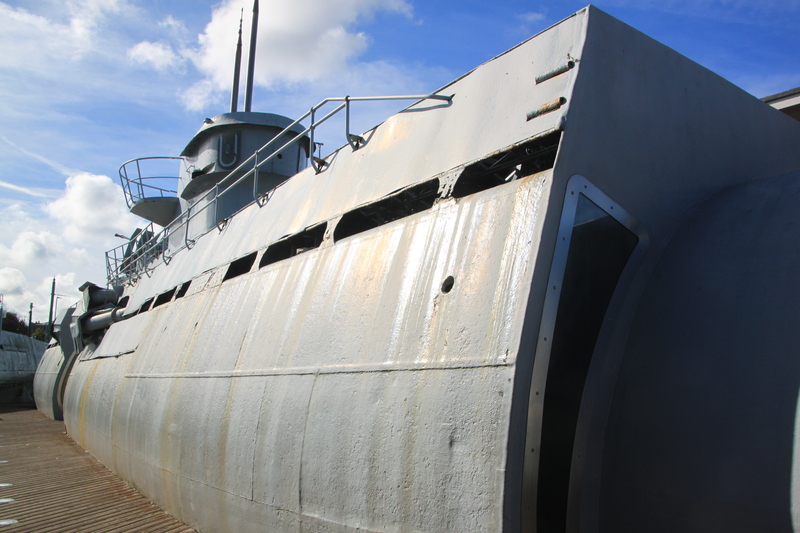 The U Boat is fascinating and is so easy to get to on the ferry – the exhibition entry is included in the ferry ticket as well so it’s good value. It is a good paint job isn’t it!! The Liverpool skyline from the ferry is pretty special. Never made it to Liverpool… enjoyed the photos. Thank you – it’s a great city. 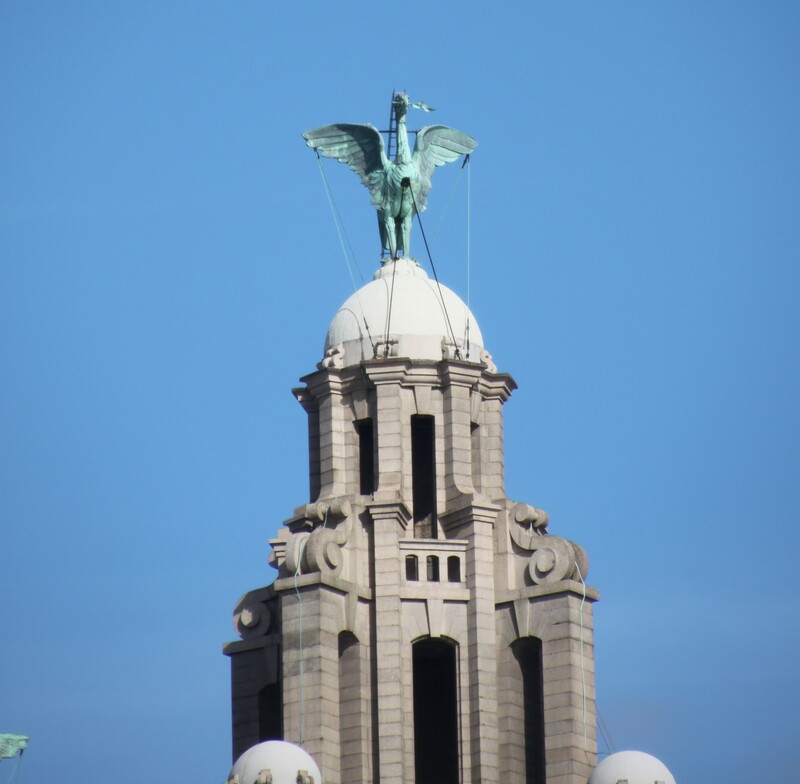 It is such a fun thing to do – I highly recommend if you are ever in Liverpool! They certainly do – it seems to stick in your head forever after that too!! The U Boat exhibition is excellent, fascinating and intriguing. 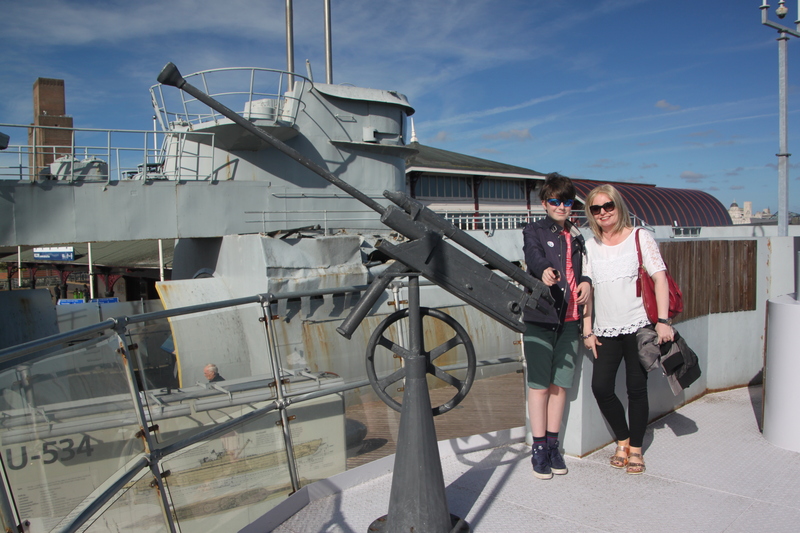 It was such a fantastic day out Rosemary, the iconic ferry and the U Boat made for a day of contrasts but so interesting and fun. I think this is the best way to see the Liverpool skyline for sure. Wet, windy and grey here although we don’t expect much else in November, it’s the short days with darkness coming so early I’m not so keen on….. Hope you are experiencing better weather and having a good week too. I didn’t expect these finds at all. Certainly not an enigma machine. 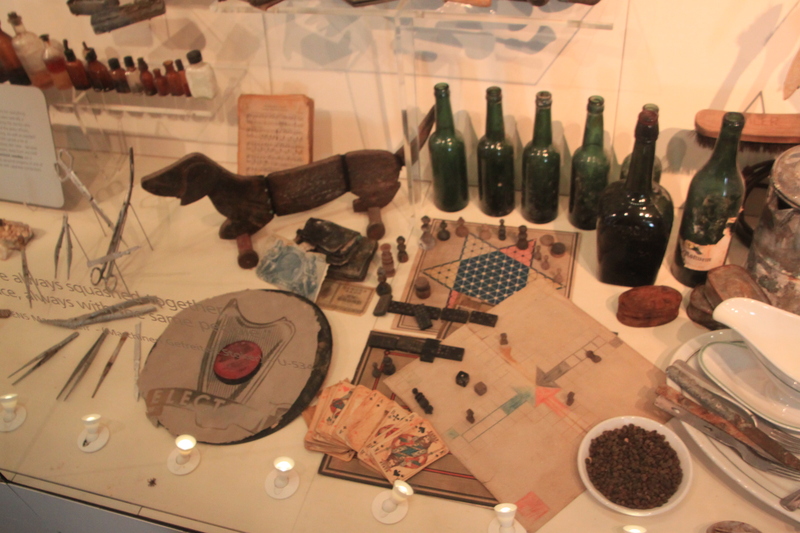 Everything is so incredibly well preserved and they have all sorts on display from the submarine – cards, bottles, letters and yes, that Enigma machine which is amazing. It seems like you had an awesome experience, Joy! Going across the River Mersey seems very enjoyable, especially on a sunny day. How long does the ride last? It was lovely Agness for sure. It can take as long or as short as you like. We made it last the whole day by hopping off at different places. That must have been a fun trip! I love the funky colours on the ferry! 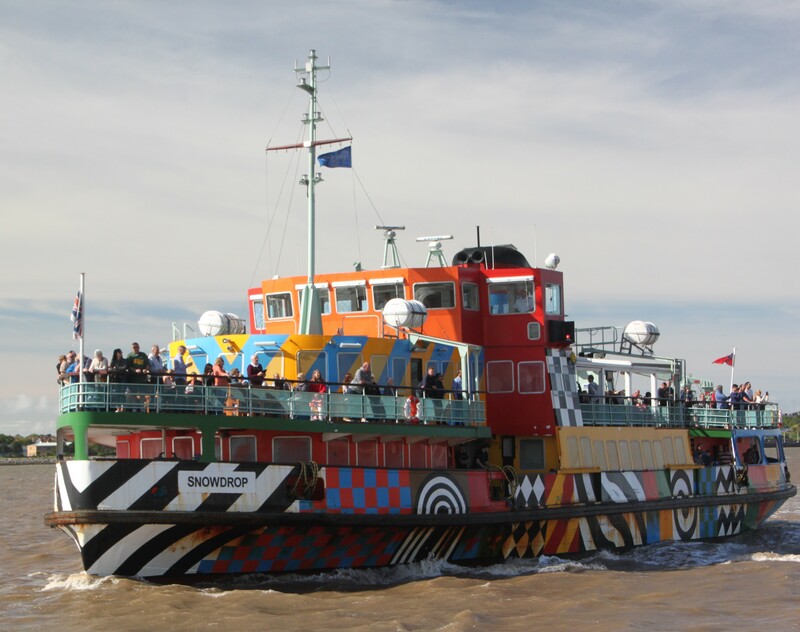 It really makes the ferry stand out – we loved the crazy design and the ferry ride. And wasn’t he blonde? Or chestnut?